Bill Masen, bandages over his wounded eyes, misses the most spectacular meteorite shower England has ever seen. Removing his bandages the next morning, he finds masses of sightless people wandering the city. He soon meets Josella, another lucky person who has retained her sight, and together they leave the city, aware that the safe, familiar world they knew a mere 24 hours before is gone forever. 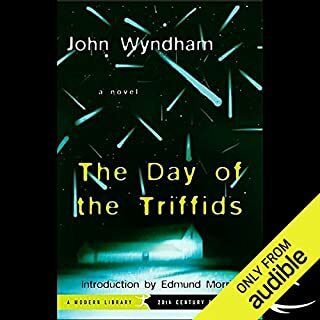 I recalled seeing the 1962 movie version as a teenager and had rather low expectation based on its typical monsters run amok plotline, But needing an easy read over vacation, I took a chance and was happily rewarded with well developed characters and situations. A scifi novel that holds up well even after all these years.